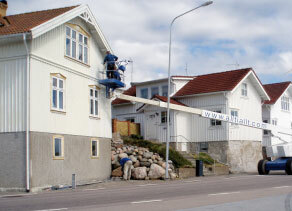 Henry Allt i Allt - Wash and paint various surfaces and objects, ranging from tankers to facades and industrial buildings. 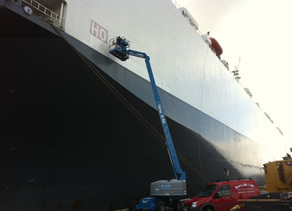 We wash and paint many kinds of surfaces and objects, ranging from tankers to facades and industrial buildings. We always leave a set price and guarantee the work performed. We go through your requirements and co-work with the leading paint companies. In our state of the art facility, we carry out work in a controlled environment. 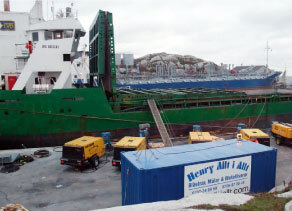 Anything that can be transported, we can surface in our station, such as cranes, tanks, boats, containers and trailers. 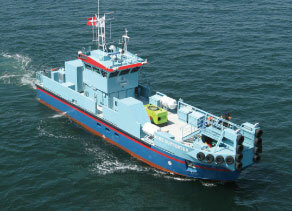 We lift and handle boats up to 35 tons. 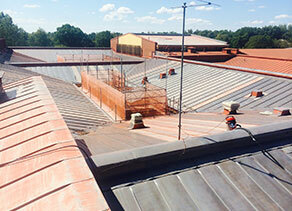 Total area for blasting and painting of the station is 2 000 m2. Requires a clean surface with some roughness for the paint to stick. Painting of rust color can be applied in several ways. Is often used for so-called back-edges. Welds, railings, pipes and everywhere where it is difficult to get to it width the syringe. Is also used to reach difficult places. In principle, where it is quicker than with a brush. 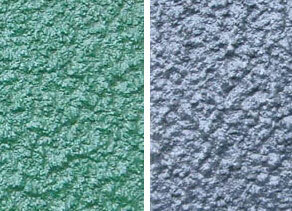 Is used on large areas, partly because it is quick, partly to build up a thick layer of color. 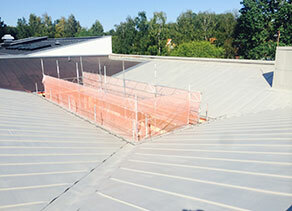 We water blasting and painting all types of roofs and facades of up to 2800 bar. We use, among others Noxyde rust and korisions protection that is well proven and has been around in Sweden for over 20 years. 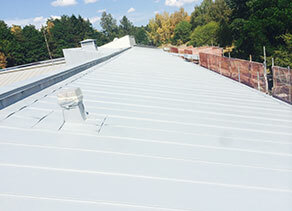 It is an environmentally friendly corrosion protection system which has unique advantages. It is water based and has no environmental impact in either the short or long term. It is extremely elastic and stretchable (up to 200%) making that it follows the movements of the sheet. The paint is built up in a thick sieve that allows it to retain its antirust ability for a very long time. It is soft in nature, which means that it can withstand impact and minimizes scratches. 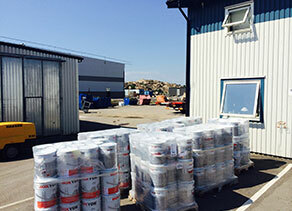 Noxyde contains an active anti-corrosive zinc compound that provides exceptional long-lasting protection against rust. We perform annually blasting and painting of thousands of square feet of potable watertanks and RSW-tanks (“Refrigerated Salt Water”). 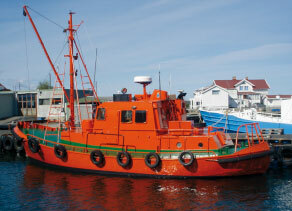 RSW-tanks is the tanks on fishing boats where the fish is contained and cooled to the desired temperature. The coating that is applied in the RSW tanks shall not contaminate or affect water quality, taste or smell. The products we use are approved for potable water tanks and grain cargo. The system used in tanks is usually a two-component epoxy paint with pure 100% solids (no solvents, leaving the paint after coating). 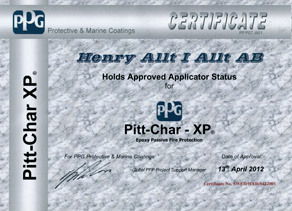 As we all know it is important with anit-slip coating aboard a ship. We use a system that is well suited to our climate. 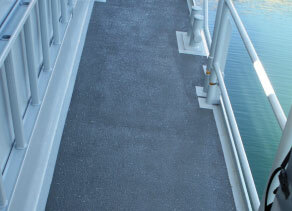 The anti-slip coat is available in several colors and grain sizes. It is sprayed directly on the deck with a special syringe, and is extremely durable. Surface blasted first to Sa 2.5 (read more about Blasting) and then applied with 300 my epoxy wet. Then we spray coat to 1250 my wet. 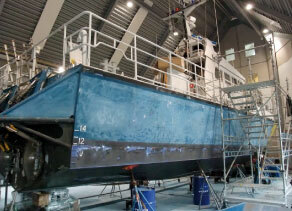 Various polyurethane coatings are specially tested for the defense and fleet, with excellent results. 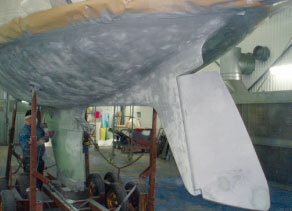 We apply waterbased sprayable soundproofing material for boats, cars, machinery, etc. The damping compound is easy to apply and effectively reduces mechanical noise on steel, aluminum and fiberglass. Easily applies with spraying equipment, brush or roller. Recommended film thickness of about 3 mm (depending on surface). High damping factor in relation to the weight compared to traditional soundproofing material. Prevents condensation. Resistent mot vatten. Resistant to water. Very high wear and abrasion protection. When you discover that the bottom of your boats is covered with small blisters, it is unfortunately already too late. Your boat has got “böldpest”. 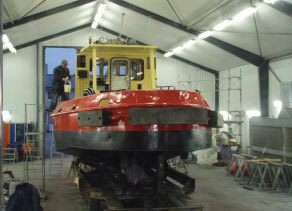 We blast the bottom of your boat down to the gelcoat. The sand removes all the blisters to the bottom. 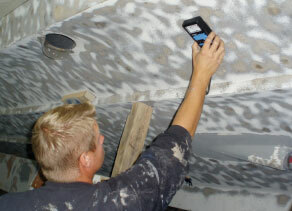 After blasting, we measure the moisture and dry out the boat. We reinforce pores and imperfections with epoxy filler and then we start adding the surface in several steps. 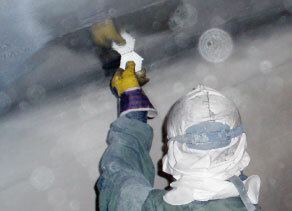 We blast and paint indoors in heated buildings. 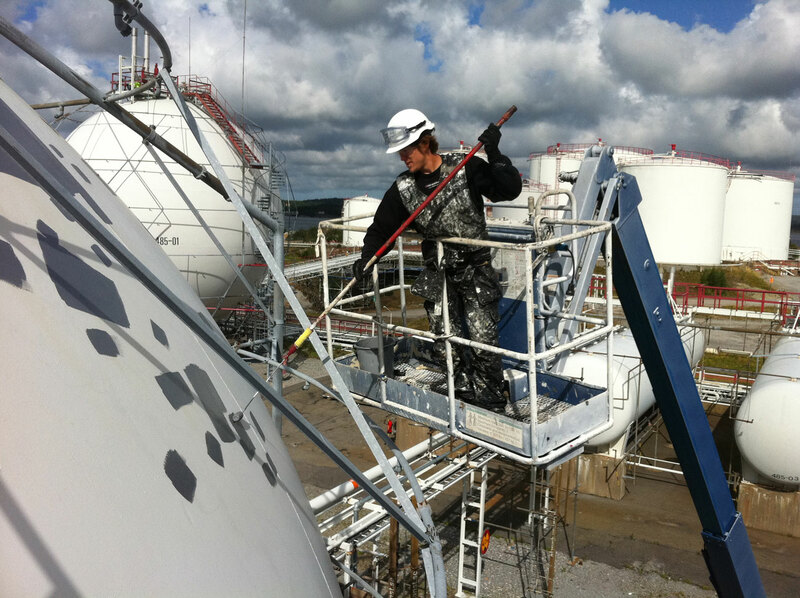 We use Procoat and Polyurea that is rubber-based spray coatings designed to effectively and continually protect metal, wood and concrete from corrosion, wear and noise. It is solvent free and based on renewable materials. The rubber coating has high elasticity and is applicable in thick layers, e.g. to protect against water and rust. Beside it’s corrosion- and sound insulating abilities it is also proved to be a very good electrically insulating material. We perform protection coating for steel constructions in threat of jet fires to reduce the risk of explosions. 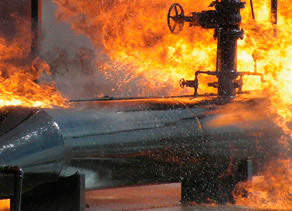 In marine and industrial environments, where hydrocarbon pool and jet fires are a risk, the intumescent properties of PITT-CHAR XP prevent steel structures from heating up rapidly in a fire. This delays the loss of load-bearing capacity and integrity, and buys time for personnel to evacuate to a safe area.